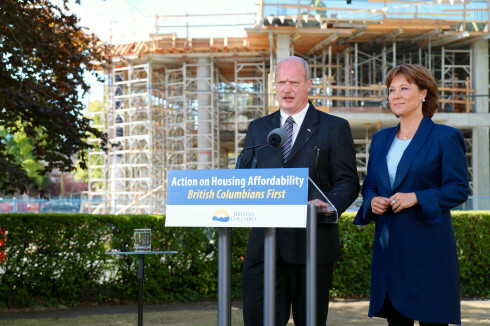 BC Property transfer tax good in theory, bad in practice? “Canada Starts Here” – that’s one way the provincial government describes British Columbia, Canada’s doorstep to Asia. When the province hosted Expo 86 and the 2010 Winter Olympics, we welcomed the world with open arms and sent people home wanting to come back. We expect government to take care of citizens, but those are tough words to hear if you’re trying to start life in B.C. It often takes months, if not years, for immigrants to achieve permanent residency. When the tax was announced, I was working with a potential U.S. buyer getting ready to move to B.C. and start a new job at one of our province’s top universities. He was priced out of the Westside housing market by the prospect of a $120,000 tax hit. Owning was an attractive long-term alternative to renting one of the Westside’s rare and expensive family-sized apartments, but now he’s looking elsewhere for housing. Don’t get me wrong: the new tax isn’t all bad. Rapidly escalating housing costs have pushed Vancouver Westside real estate listings beyond the reach of many. A tax that cools the market can help put more housing within reach of more people, and possibly help them afford a little more space, too. Targetting foreign buyers isn’t out of line, either. Critics have questioned their role in the market because local incomes simply don’t explain the dramatic rise in housing prices. While price increases have largely occurred at the upper end of the market, buyers priced out of their ideal home have looked to more affordable properties. This increases competition and helps boost prices throughout the region. However, the province imposed the tax without consultation and just one week’s warning. This caught thousands of deals midstream. Some buyers fast-tracked purchases to avoid the tax, in turn overwhelming financiers, lawyers, and conveyancing systems. Others walked away from deals altogether, halting their property searches, withdrawing offers, or forfeiting deposits. Of all the ham-fisted ways to implement a tax, the province found one that seemed calculated to cause the most angst and uncertainty. But the thing about reality is, you’ve got to live with it. So let’s try to look at the positive side. If you’re looking for Point Grey real estate or UBC condos for sale – and you’re local – the new tax may create opportunities. Several owners, sensing the market may be about to cool, are listing their properties. This means more supply, and more selection for buyers. And, if the market does cool, prices will come down, giving buyers a little more edge. This will keep sales moving. While high prices make headlines, sales are the measure of whether a market is active or not. Most agents would prefer to see sales of any sort rather than no sales at all. A tax that moderates prices while keeping sales moving is what the government intended. It didn’t work out that way for the U.S. buyer I met, or a lot of other newcomers this past week, but it just might for you. Contact me if you want to explore the opportunities!